Vision Engineering Ltd. is a global leading-edge manufacturer of unique ergonomic stereo microscopes and non-contact measuring systems. Established in 1958, Vision Engineering has become one of the world's most innovative and dynamic microscope manufacturers. Designed in Britain, Vision Engineering’s high tech UK and USA manufacturing facilities ensures customers to benefit from high quality solutions. Vision Engineering is a certified ISO 9001:2008 company. The ergonomics of a microscope has a major impact on operator productivity, the resulting quality of work, as well as therefore incurring additional costs as a result of lost time, increased wastage, operator fatigue, or illness etc. Yes, microscope ergonomics concerns the comfort of the operator, but it also to do with improving eye fatigue, hand-to-eye co-ordination, efficiency and time saving, accuracy and error rates and many more factors. 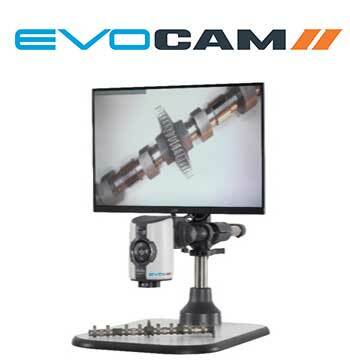 Entry level Ergonomic Eyepieceless Stereo Microscope – Get you rework done with much easy now! 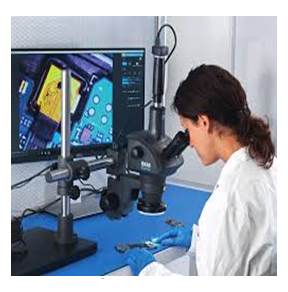 Mantis Compact: 3D Visual Inspection Microscope Mantis Compact is an ergonomic, low fatigue visual inspection microscope, excelling in the low magnification range for inspection and rework tasks where bench magnifiers have traditionally been used. Superb Hand-Eye co-ordination for inspection and manipulation tasks. Mantis Elite: 3D Eyepiece-less Inspection Microscope. Mantis Elite is an ergonomic Eyepieceless Stereo Microscope, offering superb optical performance with magnification options up to 20x, making it a perfect alternative to more traditional inspection stereo microscopes. Long working distance and large field of view. 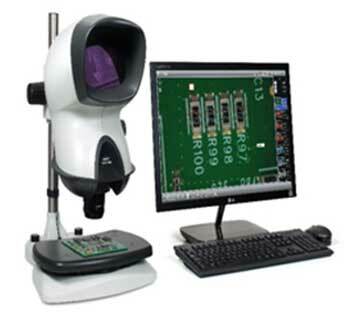 A High Performance Eyepieceless Discrete Zoom Stereo Viewer – For Ergonomic Rework or Inspection tasks with HD capturing! Mantis Elite-Cam HD: Stereo Microscope with Integrated HD USB Camera. 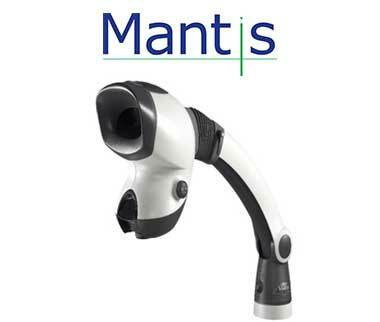 The latest update in the popular Mantis stereo microscope range. Combining the ergonomic benefits of unique eyepiece-less technology with the imaging power of an HD camera, Mantis Elite-Cam HD is the ideal solution for inspection, reworking and reporting. Fully integrated HD camera with USB interface. Unique 3D stereo view and useful annotation software. Unique Eyepieceless High Productivity Eyepieceless Stereo Microscope - You can even wear your Glasses! 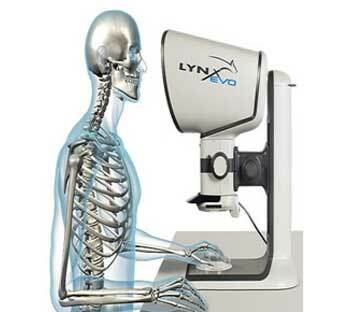 Lynx EVO: High Productivity Eyepiece-less 3D Stereo Microscope. An advanced eyepiece-less stereo microscope for intricate tasks requiring stunning high-resolution 3D stereo viewing. 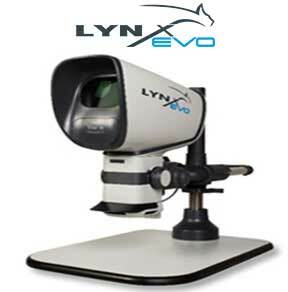 Lynx EVO delivers outstanding optical performance with unrivalled ergonomics to power your productivity. A modular design with available accessories to upgrade at any time. Comes with HD/ Ultra HD Capturing and Dimensioning option. 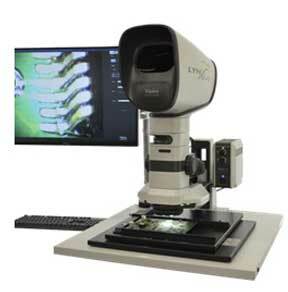 A specialist Eyepieceless Stereo Zoom Microscope with standard 360° viewer – For Intricate Quality Tasks! 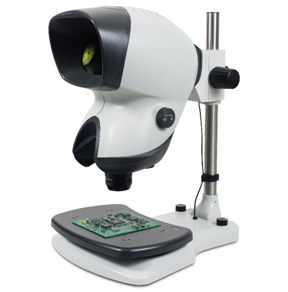 Lynx VS8 : Specialist Stereo Zoom Microscope for PCB Inspection Lynx VS8 is an advanced stereo zoom microscope for specialist Printed Circuit Board (PCB) inspection and is ideal for all electronics applications including fine pitch, surface mount, TAB and BGA technology. Superb image resolution and contrast for improved fault detection. 3D 360° rotating view (at 34° angle). Scanning stage for various board sizes and double-sided PCBs. Traditional Eyepiece Based High quality stereo viewing, ideal for both industry and life science applications. Modern stereo microscopes can be divided into two types. Greenough stereo microscopes utilize twin body tubes that are inclined, so the light path too, which produces the stereo effect. Whereas CMO stereo microscope use a single Common Main Objective (CMO) that is shared between a pair of eyepiece tubes and lens systems. CMO stereo microscopes have a greater light-gathering power than the Greenough design and are often more highly corrected for optical aberrations. The choice between Greenough or CMO stereo microscopes is usually based on the application. 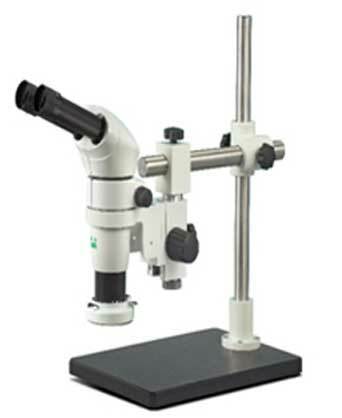 Economical Traditional Stereo Zoom Microscopes! SX25: Entry-Level Stereo Microscope. Low cost and high quality, the SX25 entry-level zoom stereo microscope delivers performance, flexibility and reliability. Quality optics ensures superb stereo viewing. Low cost, robust, high quality binocular stereo microscope. Range of stand options to suit requirements. Competitively Priced Stereo Zoom Microscope with Extra Long Working Distance! 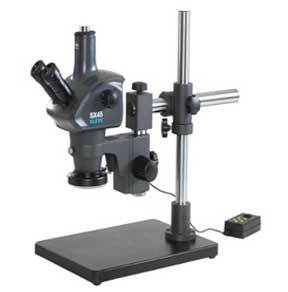 SX45: Industrial Stereo Microscope The SX45 industrial inspection stereo microscope with its extra-long working distance, precision optics and compact design is the perfect solution to many industrial, manufacturing and biological applications. Competitively Priced Stereo Zoom Microscope with Capturing Option! SX45-TR: The SX45-TR Trinocular stereo microscope with its precision optics and compact design is the perfect solution to many industrial, biological and life science applications that need image capture. 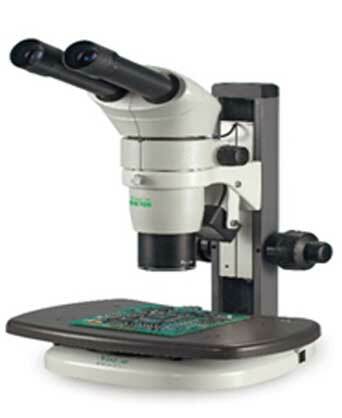 CMO Stereo Zoom Microscope For Applications Requiring High Zooming! SX80: Powerful, high quality binocular stereoscopic microscope, SX80 delivers exceptional colour, contrast and clarity. SX80 delivers performance, flexibility and reliability, while quality optics ensures superb stereo viewing. Powerful high quality stereo binocular microscope. Modular with range of stand options to suit requirements. SX100: Binocular Zoom Stereo Microscope Powerful, high quality binocular stereo microscope, SX100 delivers exceptional colour, contrast and clarity. SX100 delivers performance, flexibility and reliability, while quality optics ensures superb stereo viewing. 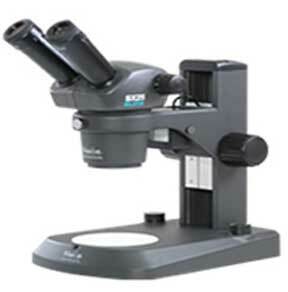 Powerful high quality binocular stereo microscope. Leading specification optical performance of video based systems from Vision Engineering creates Ultra-sharp live images a providing users a supremely powerful imaging solution. EVOCAM is an Industry leading video microscopy platform supported with special accessories to offer a demanding capturing function. The 360 Degree Viewer as offered creates extra - ordinary capabilities in image analysis function. The system has vast stand compatibility which eases the implementation of system at different workplaces. Full HD 1080p Digital Microscope for Exceptional Image Quality! EVOCAM: Optimized for quality control and inspection tasks, this digital microscope will effortlessly capture full high definition images to USB memory stick. Stunning full HD 1080p / 60fps live video streaming. Large 30:1 optical zoom range with wide range of magnification options (up to 300x). Flexible stand options, with VESA compatibility to support various work environments. An Amazing Hand Held Magnifier for your Roving Inspection! 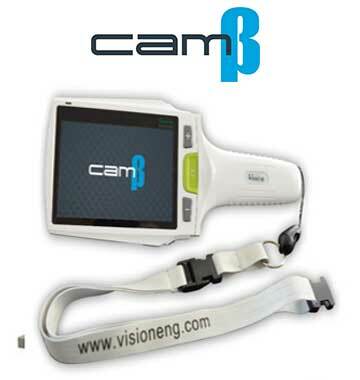 CamZ: An Hand Held Magnifier, liked by quality inspectors for all roving tasks, making work much easier which comes with effortless documentation support. Option of On Screen Dimensioning. 4 LED with controllable illumination. 4.3” display with capture resolution of 1280 x 720. Interface option of Mini USB, HDMI.